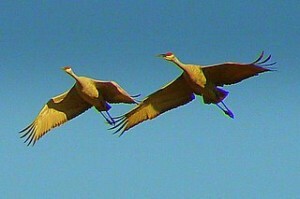 Four Trumpeter Pairs Just North of the Stoddard Dike. In March 2017, I watched a lone pair of beautiful Trumpeter Swans working the open water just above the Stoddard Dike. Today there were 4 pair! The Trumpeter Swan is a huge bird, with a wingspread up to 10 feet! But notice the very black bill which makes an almost perfect triangle and stretches right to the eye. 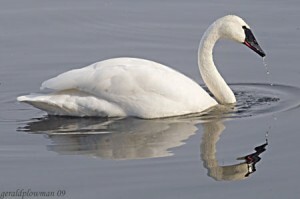 Image above is from the Trumpeter Swan society site. The society offers a detailed identification guide free if you CLICK HERE. Image below is of a Tundra Swan, which is just slightly smaller and has a more curved bill and a light spot near the eye. Tundra Swans pass through in the Spring migration to the North, but will be seen in large groups. The Trumpeter, which was first established in Iowa in the last decade (I believe) now nests on the Upper River. Still very unusual to see. 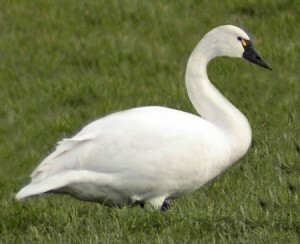 Tundra Swan Image for comparison. Because the Mississippi River is so reluctant to give up the ice this year, we probably have just this weekend where much of the river will still have ice. It opens up quite a bit during the day, and freezes over again at night. That means resident waterfowl and migratory birds are overlapping with gusto! Easy to see 7 or 8 eagles at a glance around any open water. As of March 1, we were getting reports of Sandhill cranes widespread along the river. I always consider March 1 and early date, but might have to start thinking of it as normal! Amazingly, at least one group of March 1 arrivals had 23 sandhills flying overhead! Thank you, Marilyn and Laura for the early reports! Oh, and Tundra Swans are also heading north again. Haven’t heard of pelicans yet, but expect them soon. I just heard from the La Crosse Audubon group that there are four trumpeter swans in Perrot S.P, and 16 in the Whitewater Wildlife management area. ( Open water on the north side of 74, before you hit the pavement coming from Weaver.) Waterfowl are certainly creatures of habit, but, they aren’t pinned down! So keep your eyes open! Thank you for the heads up, Pat Schmidt! Images below and in header are found at the Trumpeter Swan society site. The Trumpeter is a huge bird, with a wingspread up to 10 feet! But notice the very black bill which makes an almost perfect triangle and stretches right to the eye. The society offers a detailed identification guide free if you CLICK HERE. Since the early 1990s, the Iowa DNR, has recorded the population of wintering American Bald Eagles during the Bald Eagle Midwinter Survey that takes place in the first two weeks of every year. The number of Eagles found during the survey has climbed steadily so that in 2007 that the Bald Eagle was doing well enough to be removed from the Endangered Species List. 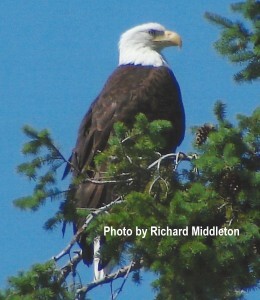 Eagle numbers in the count are expected vary from year to year. A total of 1,939 Bald Eagles were counted during the 2016 Bald Eagle Midwinter Count in Iowa, which was below the previous 10-year survey average of 3,064.3. An eagle’s nesting territory is considered to be a 1 mile radius which is defended by a pair of Bald Eagles for breeding purposes. 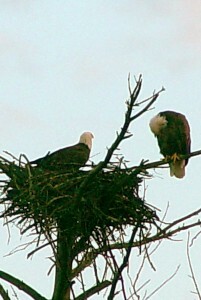 A pair of eagles, we’ve learned, may use or maintain more than l nest within its territory. Since 1977, approximately 863 bald eagle territories have been reported to the Iowa DNR. In 2015, the state hit the milestone of having at least one Eagle’s nest reported in all of Iowa’s 99 counties. Along the Mississippi River, Allamakee County, with 144, has the highest number of nests reported, followed by Clayton County with 71. Within the active nesting territories, 77 of them are located on the Iowa portion of the Upper Mississippi Wildlife Refuge and 335 of them are spread throughout the rest of the state, particularly along the Des Moines River. It’s that time of year when our huge winter population of American Bald Eagles begins to Cluster around the open water below the dams on the Upper Mississippi River. The Iowa DNR is releasing a series of posts on their Bald Eagle Midwinter Survey which may interest many of you! Since the early 1990s, the Iowa DNR, plus a small army of volunteers has recorded this phenomenon during the Bald Eagle Midwinter Survey that takes place in the first two weeks of every year. Surveyors scope the trees, air and ice for Iowa’s largest raptor while driving snowy roads which wind along next to many of Iowa’s biggest rivers. There are 52 set routes in Iowa that cover over 1500 miles in 45 counties and along at least 13 rivers. The Des Moines and Mississippi river host the largest number of Eagles, which can usually be found concentrated below a dam or other area of open water. While Bald Eagles are very territorial during the nesting season, they are much less so in the winter though you may witness a squabble or two over a coveted fish at these congregation spots. We are blessed to have a number of really wonderful wildlife photographers on the Upper Mississippi River. I’ve often mention Alan Stankevitz as a favorite. He has posted one of his beautiful Tundra Swan videos with his note and a link below. Alan often employs some of the more advanced photo technology, which makes his work really unique. Enjoy! From Alan: This fall, I had the opportunity to spend some time down on Pool 8 of the Mississippi River to photograph and video the fall migration of waterfowl and of course, Tundra Swans. You can find my journal entry with a few photos here. It really is difficult to portray the beauty of the area however in just pictures and with that I have created a video showing not only the Tundra Swans but some beautiful sunrises and sunsets. This video is on Youtube and if by chance you have a 4k monitor or TV, you can view it in its 4k full resolution. Click here to watch the video. Enjoy and here’s to a Happy, Peaceful and Healthy New Year! 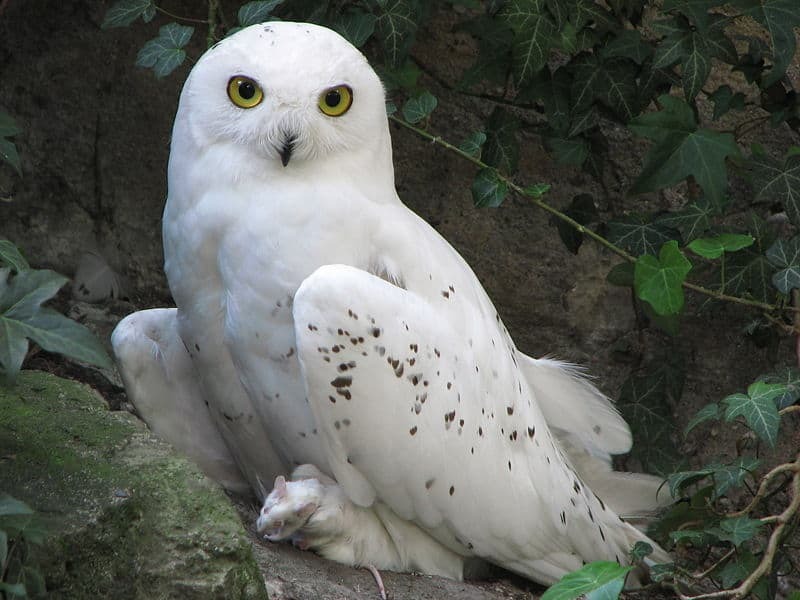 Dan Jackson has updated the Onalaska/La Crosse, Wis. area Snowy Owl sightings. Here is a beautiful image pulled from A-Z animals under a share license from Creative Commons. Dan’s Update: On Monday morning, the refuge manager for the La Crosse District of the Upper Mississippi National Fish and Wildlife Refuge spotted an immature female Snowy Owl at the refuge Visitor Center on Brice Prairie (west of Onalaska off of County ZN. By late afternoon, 2 more had been seen. Yesterday, three birds were perched in the parking lot of the maintenance building at dawn. When refuge employees picked up equipment for the day’s projects, the birds spooked and flew into the corn field just to the north. At dusk, while a few of us were watching those 3 birds, we were surprised to see 2 other birds fly by making a total of 5. At least 2 were immature females and 2 were lightly barred and were either immature males or adult females. The birds got active between 4:30 and dark and moved up from their perches on the ground to perch on signs, posts, tractors, telephone poles, and other vantage points – making them easier to see. Someone asked if they might migrate as family groups and could these birds be related? Has anyone done genetic testing of groups of birds found at a single location before (Duluth Airport, etc.)? A “heads up” from Dan Jackson… THANKS, Dan! Tim Miller, the District Manager for La Crosse District of the Upper Mississippi National Wildlife Refuge, found an immature female Snowy Owl at the District Visitor Center on Brice Prairie just west of Onalaska this morning. When he first saw it, it was near the staff parking lot. It then moved into the maintenance lot and was perched on a truck. Hopefully, this bird will stick around as the prairie around the Visitor Center would be a wonderful hunting area. Special Pricing our most popular Book and Map RIVER BUNDLE… Great River Road/Mississippi River Guides and SAVE $30! We’re excited! Great River Arts, our historic map publisher, is gradually taking over our collection of quality Mississippi River and they are making a special offering all four Volumes of Discover! America’s Great River Road and the 1887 “Father of Waters” Historic Reproduction of the full length of the Mississippi River. This is an opportunity for you to save more than $30 on our most popular Book/Map Art Bundle! Perfect for Gift Giving! Need extra maps? Everyone who loves our 1887 map by Lisa Middleton will love Discover! America’s Great River Road, our comprehensive guide to life along the river for their favorite section! Just CLICK HERE to purchase additional maps! All Great River books can be ordered individually as well. CLICK HERE to go Straight to BOOKS on our new Shopping Cart at Great River Arts. First Tundra Swans Arrive in Pool 8! Just ahead of our first major COLD spell of the season, a few dozen Tundra Swans are visible along Wisconsin Hwy 35, just south of Goose Island and La Crosse. There will also be naturalist/Interpreters on hand at the new wayside south of Goose Island. Bring your binocs and learn not only about the swans, but also an assortments of ducks! No doubt there are also Swans visible just south of Brownsville, MN. Over the course of the next 4 weeks, numbers of Swans and migrating ducks will increase exponentially!! Have fun! !